Whoa! Tea-time at office is one of the best times when the bibliophiles can get engrossed in a romance page-turner, on kindle. 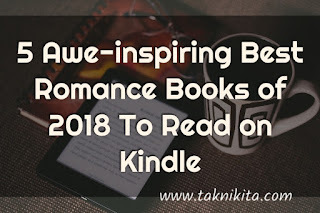 Are you all set to know the best romance books of 2018 that will leave you refreshing during tea-time at office? Twenty-nine-year-old Malini is single, a cat lover, and a proofreader with a secret crush. Vikram Mathur is a bestselling author with more than a dozen books and a debilitating problem—the writer's block. What Malini wants more than anything is to meet Vikram, but he doesn't even know she exists. What if wishes were to come true! Read this short and sweet story to find out. Will Malini get her heart's desire? Will Vikram be able to write his next bestseller? Have you ever fallen in love? If yes then you might have faced the same problem in your life. Prem who realized at a very early stage of his life about a bitter truth of our society, his best friend Sanskriti left him just because they did not belong to same caste. He could not understand how can a person leave you just because you were not born in same cast? Trying to accept this hard truth he moved ahead in his life, then again Roohi entered in his college life. She fell madly and deeply in love with him but he was unable to accept her because she was not only from different cast, religion too and he departed from her forever without expressing exact feeling towards her. But his destiny had something else for him so luckily or unluckily, willingly or unwillingly Prerna accidentally came into his life and both fell in love with each other. Will they be able to marry each other or will the society punish them by murdering their love in the name of honor? Six months have passed since Prisha was pushed to death by the person she loved the most, Saveer. 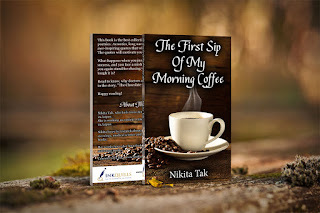 But she doesn't believes that it was him till she stumbles upon the first clue to the mystery that Saveer is, which leads her to his twisted past: he is not who he says he is. Forever is True is a riveting thriller exposing the deadly limits that a person can go to because of a ruined childhood.